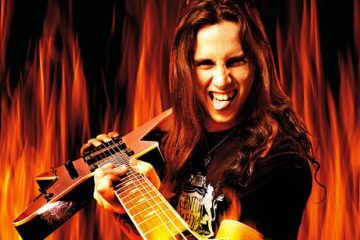 “World On Fire”, the new video from Greek melodic metallers FIREWIND, who feature in their ranks current OZZY OSBOURNE guitarist Gus G., can be viewed below. 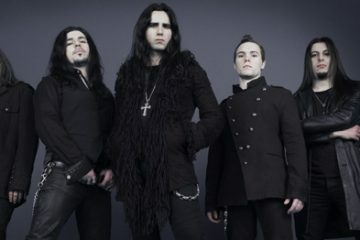 The clip was once again directed by Patric Ullaeus of Revolver Film Company, who has previously worked with DIMMU BORGIR, LACUNA COIL, IN FLAMES, SONIC SYNDICATE and KAMELOT, among many others. Ullaeus oversaw all of FIREWIND’s visuals on the band’s last two albums. Commented Gus: “The video for ‘World on Fire’ was shot entirely on green screen and I think this time Patric Ullaeus has outdone himself! “The concept is based on the album cover artwork and it’s something we’re doing for the first time on a video of ours. There’s a barbaric vibe to it, lots of fire, metal warriors and even a Valkyrie. 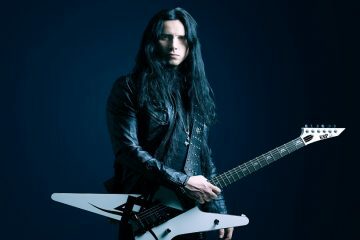 “World On Fire” comes off FIREWIND’s new album, “Days Of Defiance”, which is scheduled for release on October 26 (one day earlier internationally) via Century Media Records. The CD’s striking cover artwork was designed by the band’s longtime partner in all design matters, Gustavo Sazes, and can be viewed below. Commented Gus: “I’m very excited and cannot wait for our fans to listen to our new album! We feel we’ve captured great performances and took our songwriting to the next level on this one. There’s tons of cool guitar on there and I believe Bob [Katsionis] has finally managed to reach warp-speed with his keyboard solos! Even more seriously, I highly recommend that you listen to this album at a very loud volume. The “World On Fire” single was made available for purchase on digital platforms starting on August 17. 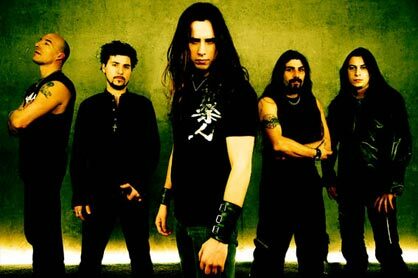 “The Premonition”, the latest album from FIREWIND, was released on vinyl on March 8 via Century Media Records. The band’s first-ever vinyl release contains one bonus track. 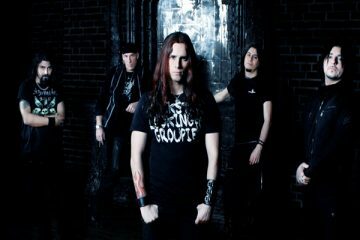 FIREWIND recently parted ways with drummer Mark Cross (ex-HELLOWEEN, METALIUM) due to personal differences.